Fishhead. Republic of Want is an experimental novel by Ignatius Valentine Aloysius in the style of Cervantes and Borges, where Fate is the overarching narrator, addressing love and human behavior within hunger’s grip. In 1970s Bombay, a hungry teenage boy called Fishhead struggles with his family’s indigence in the tenement, only to wrestle with the acceptance of an affectionate middle-class girl who likes him. He hopes his curiosity and want will free him from his harsh conditions at home while he enters a world of literature, art, and music, and then sets his sights for work on an offshore oil rig after a crisis, despite his fear of deep water. In this excerpt: In a tenement apartment in Bombay, young and hungry Fishhead must help his father make handmade holiday cards, then go out to sell them. Fishhead stared into his mother’s face when she bent down to wake him in the early morning light. The rings around her eyes. Those sinking cheeks. He knew her good habits: be on time, never miss the train. Work hard. “Help your father,” he heard Mom say to him. “I promise to make us cakes.” She pressed down on his right shoulder then made her way to the front door. Mom did not put much faith in Dad’s ventures. Fishhead got to his feet and rolled up his mat when Dad coughed. Little sister Lily swept the floor. Dad sat in a metal chair and rested a pad and pencil on his lap, sketching ideas for his cards. Stacks of unfinished greeting cards sat by his feet, ready for the day’s production. Dad arranged them in order, some sketched with holiday images, and others near completion. Dad had cards ready for sale with fresh envelopes, and countless blank cards, too; he stacked these in boxes against the wall behind his chair. The investment stretched the family’s limits thin, and yet fourteen-year-old Fishhead saw value in his father’s art. Handcrafted illustrations made with poster paint, glue, boiled rice, broom hair from jute, cotton, glitter, powder, and sand. Dad’s clever ideas, good ideas. The glue had warped the finished cards, so Dad held these down overnight under the weight of a kitchen pot filled with sand. Now Fishhead sat cross-legged on the bare floor, his hands smeared with paint, and brothers Prem, the older, and little brother Kishore near him. The apartment carried the odor of glue, which filled up the space in strange, stinging ways. Glue made from animal bone. Better this than the warm Summer stench of the tenement outside. By lunchtime, the single-room apartment became an unlivable area, with scraps of art materials, powder, glitter, and cut paper scattered everywhere. Slivers of wasted broom pieces dropped and forgotten like confetti. Splotches of poster paint and glue smeared on the cement floor like an abstract painting by the master M.F. Hussain. Then Dad filled up an old cotton sling bag with sixty finished cards and envelopes. Fishhead took the bag from him reluctantly. He hated this task. Now past lunchtime, Fishhead and little brother Kishore left with cash for their commute, nothing more. Hot off the press! The price of each handmade card: five rupees. They hopped on the packed commuter train, and within forty minutes had reached Bandra, a posh suburb on Bombay’s western coastline. He knew little of this popular area, with colleges and schools he knew he’d never get into; coffee shops, clubs, gymkhanas for the rich, tennis courts, shopping districts, and hotels and mansions by the waterfront. Its rocky shoreline for lovers from all walks of life. No one taught Fishhead how to sell anything door-to-door, but he fit the part. With his willingness to mingle, he had little choice, although his family’s condition embarrassed him. “We’ll split off and double the effort, we’ll sell more,” Fishhead said. Little brother nodded. He liked that idea. A quick learner, Kishore seemed eager, although he showed a rebellious spirit. A hot head, that little brother. They exited Bandra station then tramped on for a quarter mile or so west in the high afternoon heat, until they reached a bend in the main road, with the walls of the Jesuit church and school on the left. The road forked there, they took the street that veered off to the right and followed it to the rich homes and apartments, a quieter tree-lined section of Bandra. Many residents worked on merchant ships overseas or took jobs in Dubai, Sharjah, Bahrain. “Hurry up,” Fishhead said to Kishore, “or we’ll lose time.” Their wet armpits, backs. Burning sunlight. Beads of sweat pilled on their foreheads, raining down their cheeks as they stayed on foot and went door-to-door. They climbed up stairs and went from building to building, opening gates with latches, daring houses with dogs, and knocking on doors to sell their cards. All the while hunger gnawed and twisted, reminding Fishhead to drink water wherever they could find it, in cafes and from street vendors. No roadside well or pump in sight here. A resident offered them water but did not buy any cards. By five o’clock in the evening, they had sold forty-three cards, but the day tired them and weakened their knees and legs and made them dizzy. Hungry and parched. “We’ll eat later,” Fishhead answered, pressing his brother to keep going. “Dad will count the money.” He led Kishore home on the train, and they reached the tenement building before sunset. They needed food. When they crossed the train tracks and stepped over the stagnant gutter, their relief at reaching home appeared momentary as they entered the apartment and emptied their bags before Dad. His paintbrush in hand, a glass near him. Water mixed with hooch. “How did you do?” Dad asked. “We sold a lot,” Fishhead said, his mouth dry. He wiped his forehead and neck. “How many is a lot?” Dad asked. Fishhead watched as Dad counted two-hundred-and-fifteen rupees; he placed the coins on the floor and arranged the notes near them in proper value, all straightened out and turned face up the right way. Kishore came back from the kitchen with three-day-old bread that had been sitting on the cement counter. Little brother pinched the few ants that dispersed on the bread and put dry morsels in his mouth. Fishhead stepped away when Dad dropped the coins in a shoebox then stood up, slipped on a shirt, and put the notes in his pocket. Lily began to gather up the unfinished cards, and Prem swept his cupped hands across the painted floor to clean it; he began lifting the paint and glue splotches with the back of his fingernails. Fishhead nodded, but something stirred inside him, begging mutiny. And a realization came alive in his heart that life, as demanding and unfeeling as it appeared to him, would get worse before it improved, because Dad had every intention to send him and Kishore out the next day and the day after that. He frowned, unable to refuse this task. About the author: Ignatius Valentine Aloysius earned his MFA in Creative Writing from Northwestern University’s School of Professional Studies, where he now teaches Advanced Writing in the Integrated Design and Strategy graduate program. He also teaches in the English department at Harold Washington College, and is a graphic designer and musician. Ignatius lives in Evanston. 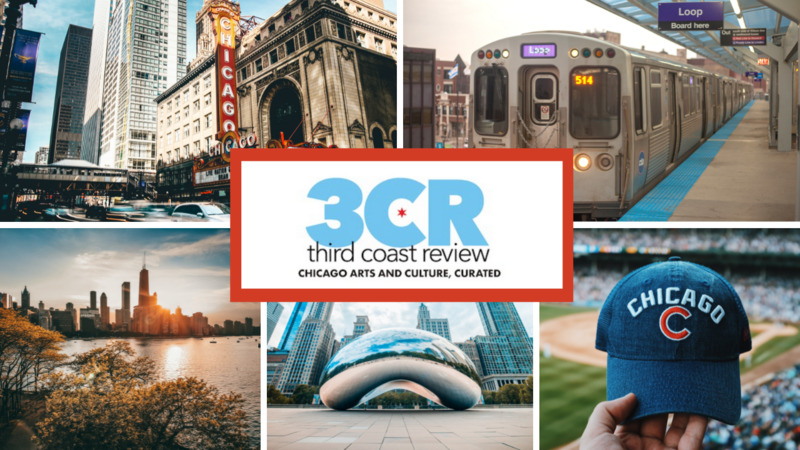 This story was excerpted from the original novel manuscript of Fishhead and adapted for the 9/7/2016 Third Coast Review-sponsored live lit series. Kill Your Darlings.